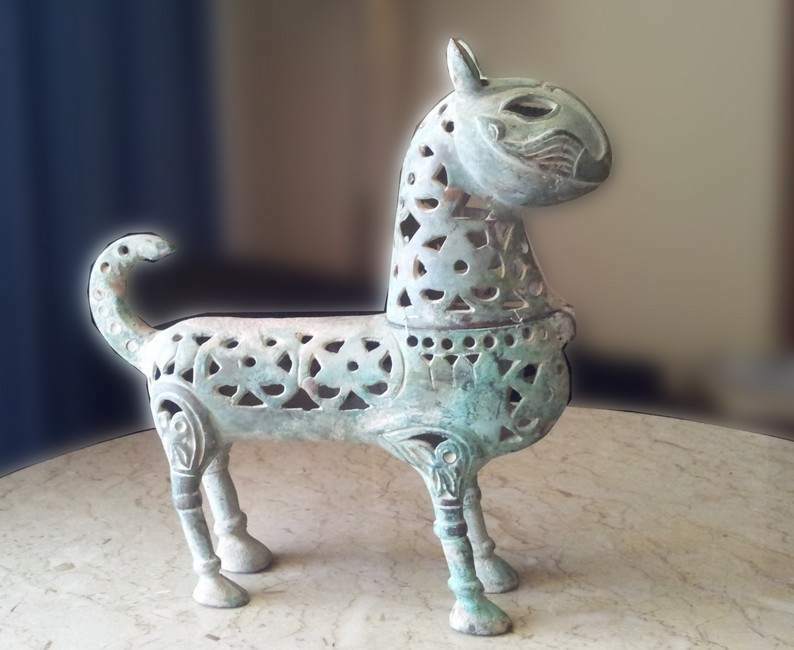 Description: This bronze incense burner represents a cat with its mouth half open and ears pricked. 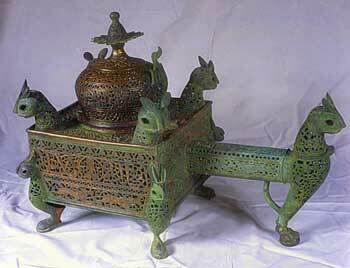 The back, neck and chest are all perforated to allow incense to escape. 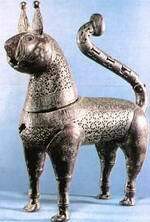 On the cat`s chest is an inscription in the Kufic script which says: "Valor, power, and glory." 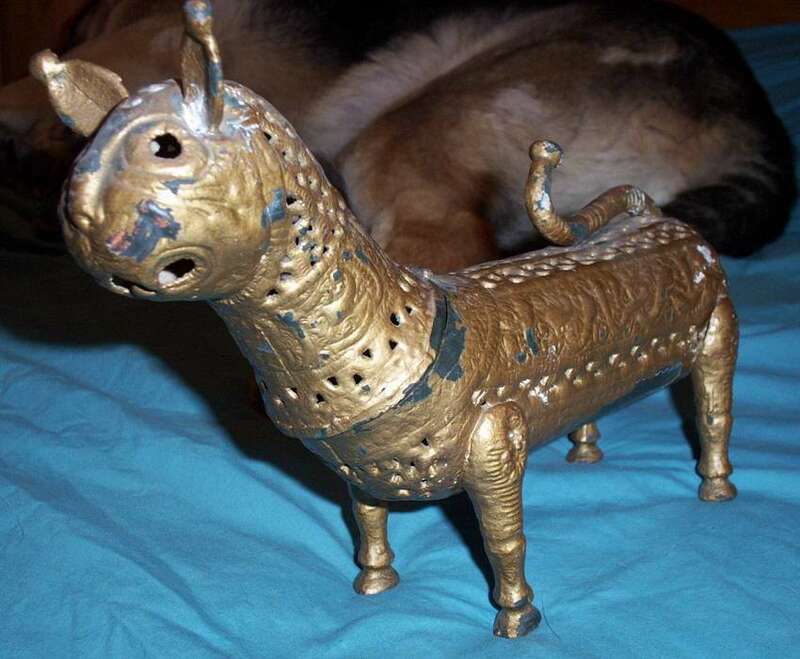 Description: Incense burner from Iran, originally black, painted gold. 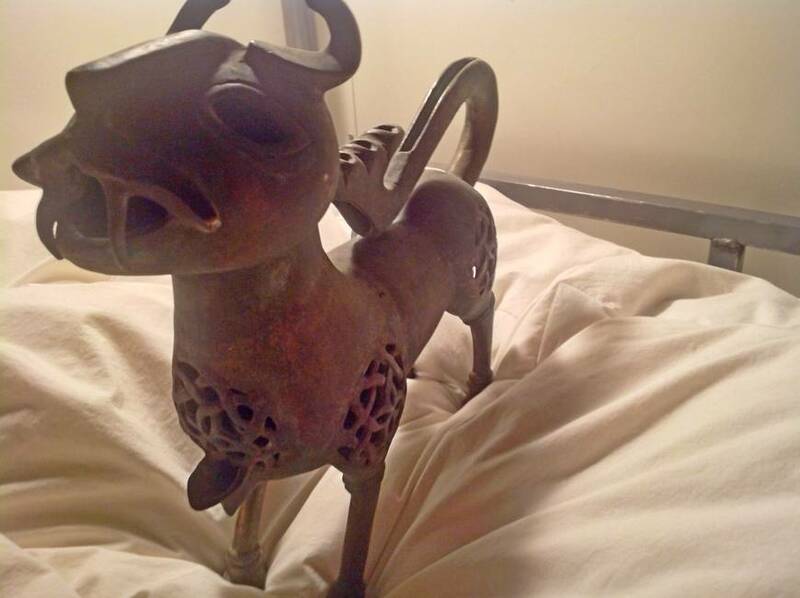 The head is attached with a hinge. The bottom of the feet were it is wore looks bronze / brass color. 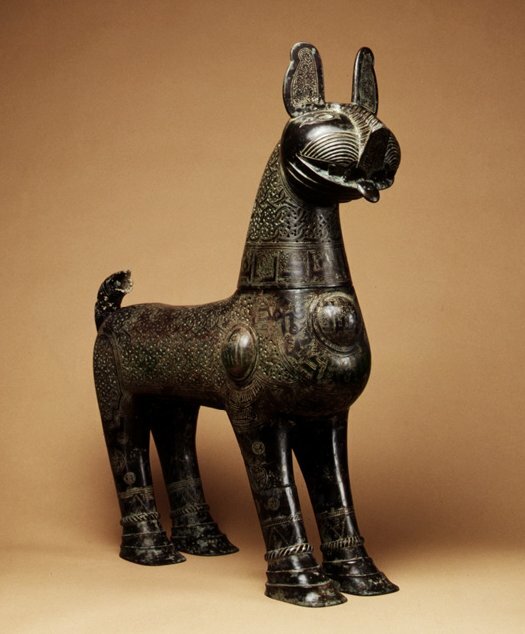 It is heavy (2 - 4 lbs). 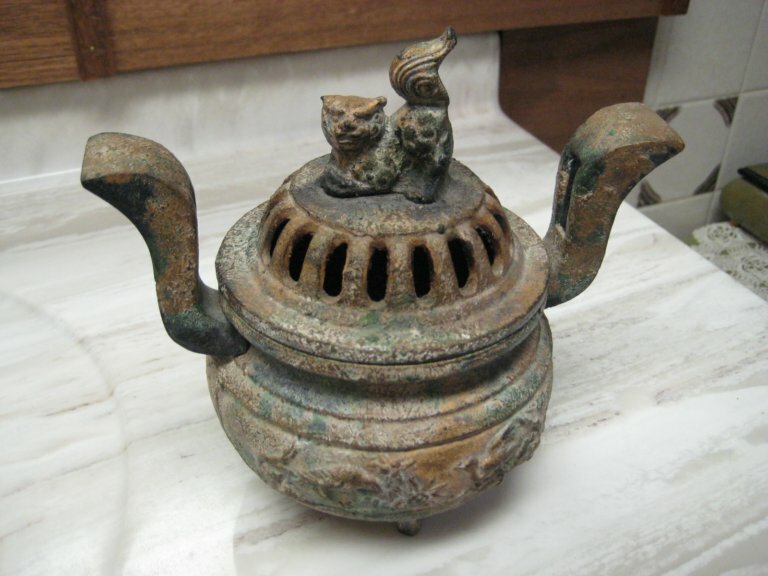 Description: Nice bronze perforated cat incense burner, with removable head.